While the current Rolls Royce Ghost is a handsome car, it’s beginning to look dated now that the new Phantom has arrived. So it’s in need of an update if Rolls wants to keep its clientele base. Thankfully for those wealthy elites, the new Ghost is on its way and it looks to be getting a significant exterior upgrade. At the front, it gets new headlights that are now more similar to the new Phantom’s, as well as a new grille. The new grille on the Phantom is massive and upright and imposing. This new Ghost’s, though, is wider and less in-your-face. You can tell Rolls Royce treats the Ghost as its “Baby Rolls”. It’s also smoother, the new Rolls Royce Ghost. Its hood is lower, as is its roofline which is also more sharply raked and the way the C-pillar sweeps down into the trunk is smoother. Overall, it looks… dare I say sportier? It looks more athletic than the current Ghost and far more so than the rolling brick that is the Phantom. Personally, I think the overall shape is really nice. We obviously can’t see many details thanks to the camouflage but the car’s actual shape seems to looks much prettier than before. Which we think is a wise move by Rolls. 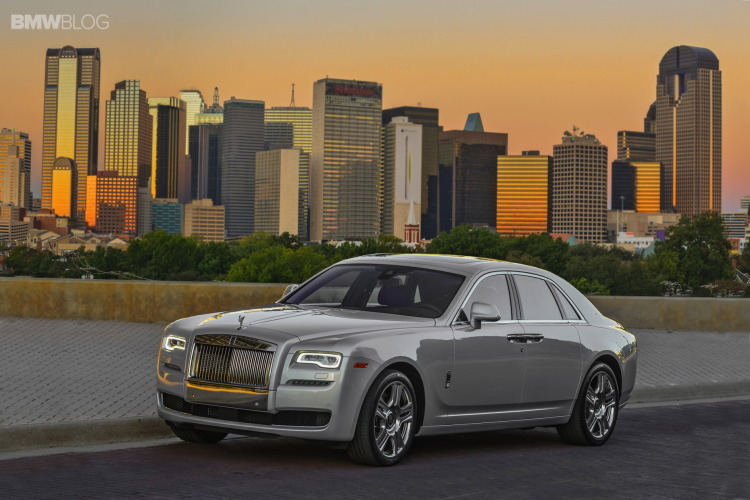 Let the Phantom be the imposing and opulent Roller while the Ghost can be the sleeker, prettier sedan in the lineup. We can’t wait to see it in the flesh.